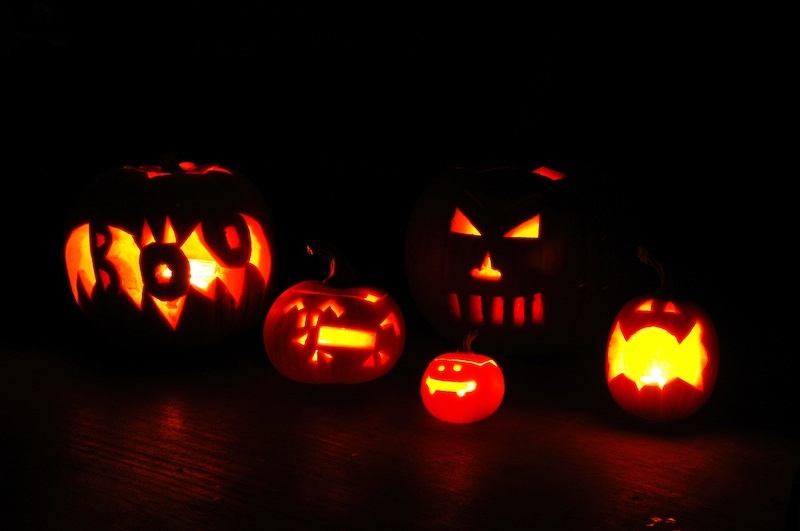 We've carved our pumpkins, have you? From left, Boo Bat from Shannon, a dog for teenie, small skateboard (with eyes) for Blake, Creepy thing from me, and a Candy (with eyes) for LuLu. Yesterday Shannon and I met a couple friends of ours (Peter, Danika, and their baby Jocelyn) at the Berkeley Juggling Festival and had a ton of fun. Peter and I juggled most of the time while Shannon, Danika, and Jocelyn went shopping in Berkeley, then we rounded out the day with dinner at the Pyramid Brewery down the street. It was a great day. Peter has been juggling much longer than I so he taught me a few things. 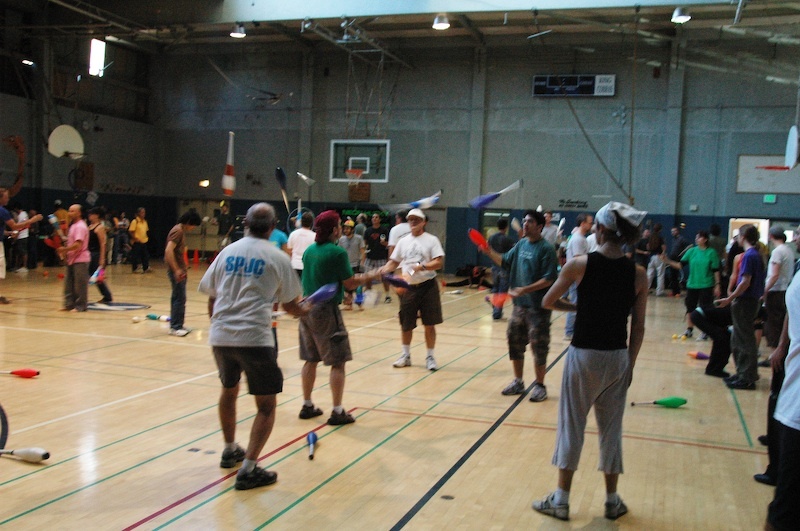 We did the standard four-count pass, two-count (throw every other), threw in a few tricks to each other, then he taught me to pass 7 clubs with two people. I never did get the total hang of it, but next time I should be much better. 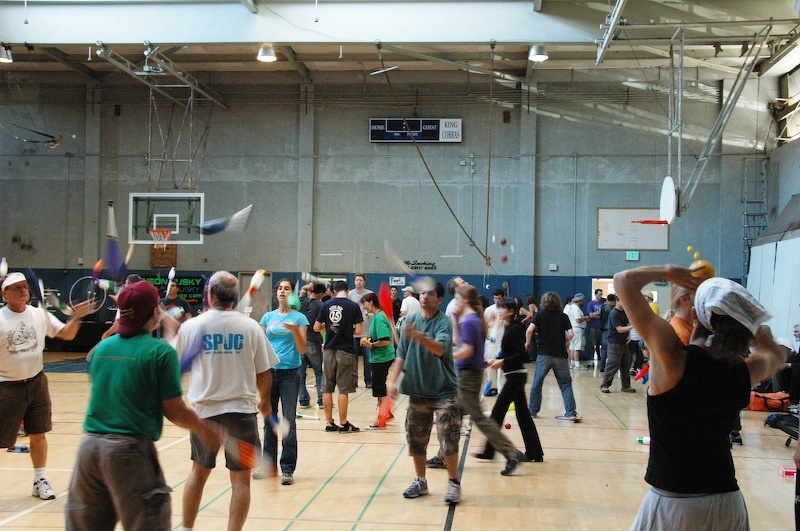 We also juggled in a couple groups of three, and five doing larger patterns. Almost everyone there was better than me but it was fun because there was lots to learn from them. After the dinner Shannon and I went back to see the show, and we got to see Vova Galchenko at the end of the show juggling 7 clubs and doing a few other neat tricks, very cool. Ok, enough writing, time to go practice more! 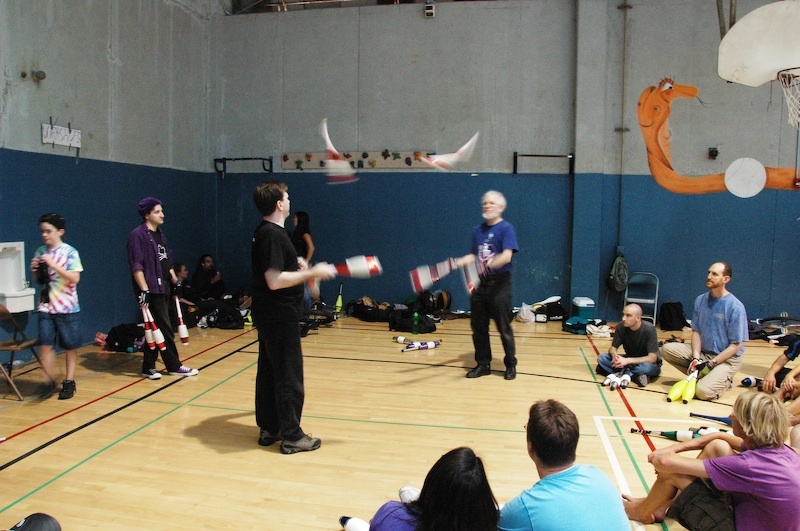 And of course a few photos from the juggling festival. Well it took a couple hours last night to upload the video so I decided to post this story this morning and get some sleep. Click the play button below and you can watch the whole ultrasound (17ish minutes) with sound. The sound is a little quiet so you might need to turn up the volume to be able to hear us. 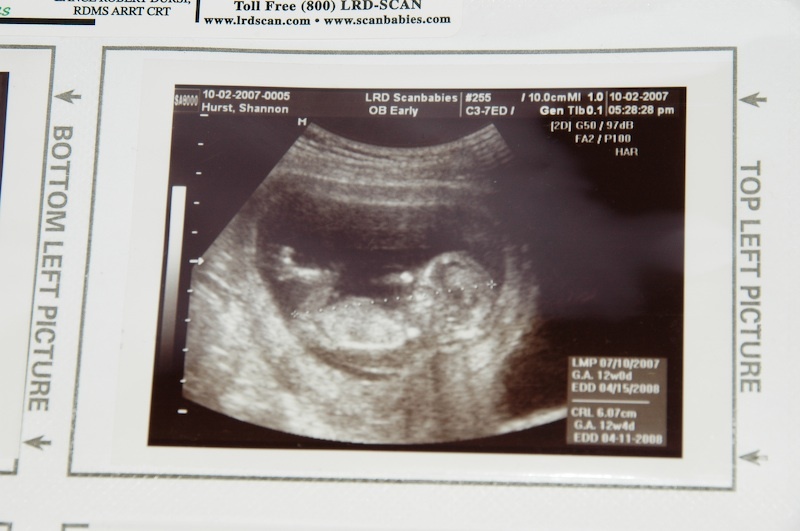 The person talking most of the time is the ultrasound doctor, and he was a great guy. Really nice, really knowledgeable, and a whiz with that machine. 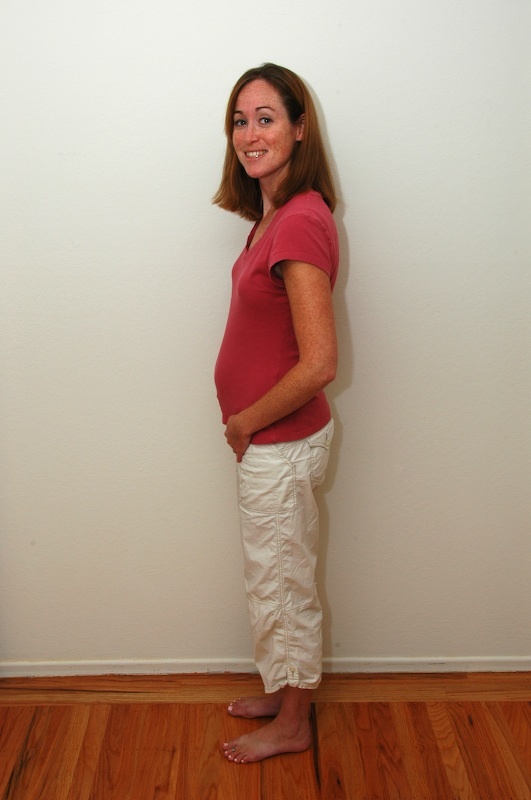 This week I started my fourth month of pregnancy with our baby boy Blake Walter. Below is a picture taken today showing my oblong bump that starts out small in the morning, when I haven't eaten, and grows larger througout the day when I have eaten. My morning sickness has gone away for the most part, but flares up on the days I wake up early to commute to work. 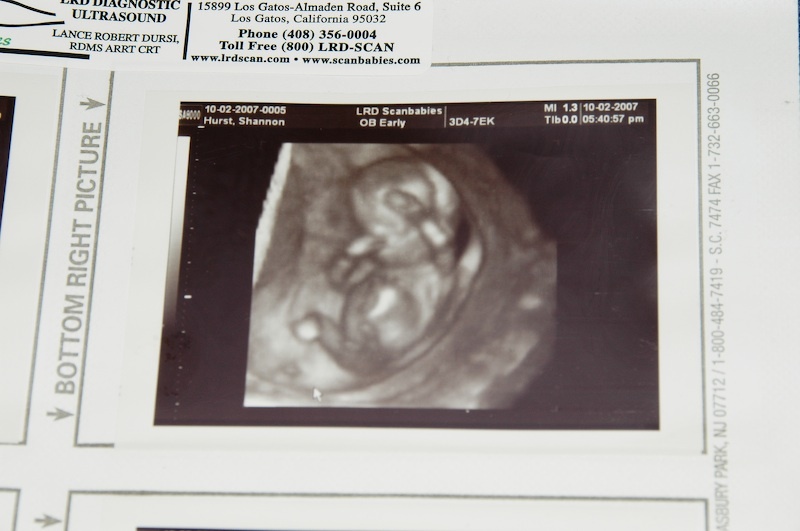 Andrew is working hard to upload the video of the ultrasound as I create this post. It is about 20 minutes long and has our recorded voices so you can hear what the sonographer has to say about Blake's positioning/health. I am sure he will post another story with the video tonight or tomorrow. Thanks again for everyone's love and warm wishes. 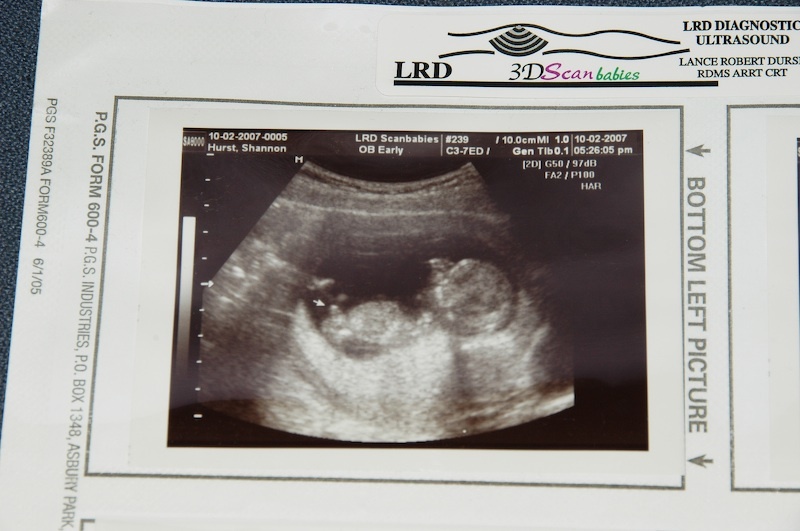 We are so excited to grow and meet this little guy. Teenie and LuLu are thrilled to have a baby brother.